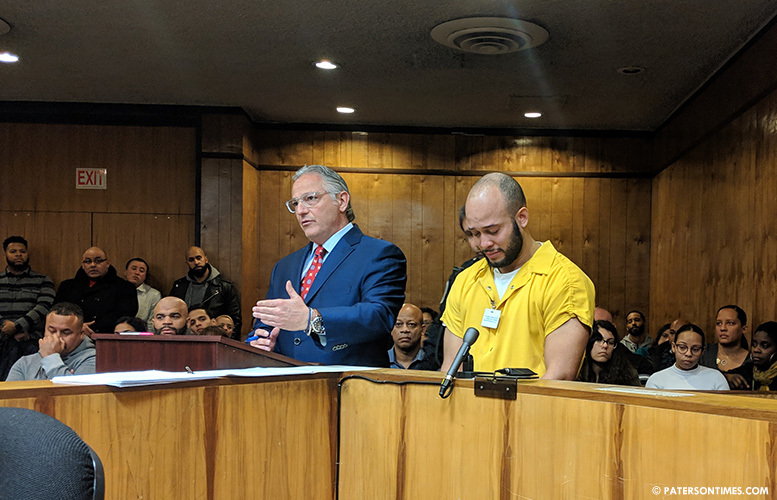 Former police officer Jose Urena received a sentence of nine and half years in state prison for the 2015 hit-and-run death of JaQuill “Jake” Fields. Judge Adam E. Jacobs imposed the sentence in a packed courtroom on Thursday afternoon. Families and friends of both men filled either side of the courtroom. Many police officers attended the sentencing to show their support for Urena. “The sentence I am about to impose will no doubt be considered too little time for one side of the audience and too much time for the other side of the audience,” warned Jacobs. He told both sides to not react and remain orderly in the courtroom. Before the judge imposed his 9.5-year sentence he heard from both sides. Urena’s attorney Anthony Iacullo argued for a lenient sentence. He submitted 25 letters of support to the court. Iacullo mentioned Urena’s good work as a police officer like rescuing people from a burning building. He also argued his client had a clean criminal history. “No serious harm was caused or threatened, even though, obviously, a tremendous harm resulted,” said Iacullo. “The notion that an individual’s death is no serious harm is beyond the pale,” rebutted assistant Passaic County prosecutor Peter Foy. He dismissed the argument of clean criminal history, arguing Urena had to have a clean record to be a police officer. He recommended the judge impose a 12-year sentence against Urena. Foy described Urena as “callous” for failing to stop his car to render aid to Fields. Fields and his brother were walking on Temple Street near North 4th Street on Jun. 16, 2015 when both were struck by Urena. His brother, Ameen Fields, survived, but died in a separate accident ten months later. Urena testified in the case that he thought he hit a pothole. He hadn’t realized he had struck and killed a person even after driving home to North Haledon with a cracked windshield, he told the court. “Why couldn’t you stop and check what it is that you hit?” asked Fields’ mother Naomi Simmons. She directly addressed Urena, who appeared in court in handcuffs and yellow jail garb. Simmons held up two pictures. One of her son alive and another of him in a coffin. “How do you go from here to here, Jose?” asked Simmons. Urena began shaking and had tears in his eyes. Simmons loudly wondered why Urena was not charged with the killing of her son. She had wanted him charged with vehicular homicide. 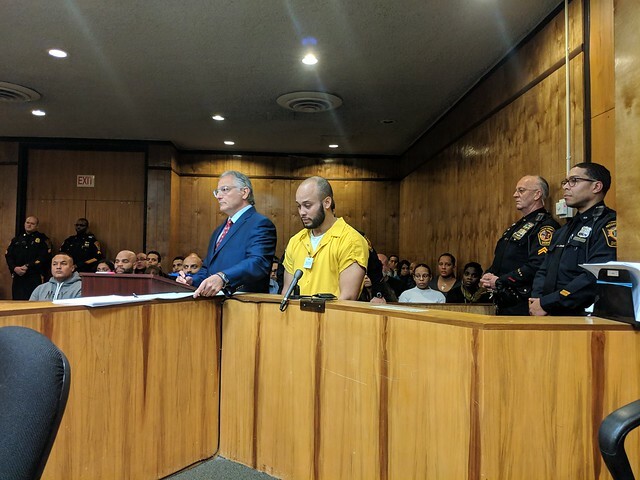 Urena was found guilty of leaving the scene of an accident resulting in death and endangering an injured victim last month. Fields’ mother, aunt, and sister forgave Urena. His sister, Mi’yahna Robinson, offered to hug Urena in the ultimate gesture of forgiveness. The judge did not allow her to hug Urena. Fields left behind a son. Urena has a son and a stepson, according to his lawyer. Usually this sort of thing would have got covered up.